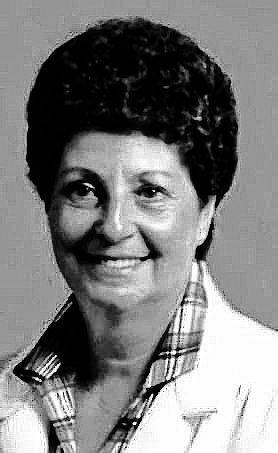 NORTH BRANDFORD, CT — Phyllis L. Kennedy, 91, of North Branford, Connecticut, formerly of Alton, loving wife of the late John Kennedy, passed away on Friday, Feb. 23, 2018, in Branford, Connecticut. She was born in Alton on Jan. 15, 1927 to the late Byron and Catherine May Henderson. She is survived by her loving daughters; Jeanne Kennedy and her husband Frank Diller of North Branford, Connecticut, Donna Gersman and her husband James of Worden, Illinois, brothers; Harold (Rachel) Henderson of Maine, and Bob Henderson of Georgia, grandchildren; Elizabeth (Matt) Wiemers of Illinois, and Phillip (Katie) Gersman of Colorado, and great-grandchildren; Madeline and Patrick Wiemers of Illinois. After graduating from Alton Senior High School in 1945, Phyllis married the love of her life John (who passed away in 2001). She went on to work as a secretary for many years for the Illinois Division of Vocational Rehabilitation until her retirement. She was an avid golfer, having helped run several golf leagues. At home she was a mother and wife beyond compare; unselfishly caring for her husband for many years, working outside the home when most did not, and was loving, thoughtful, and always proud of her girls, all while teaching them to do the right thing. Phyllis adored her grandchildren, great-grandchildren, and kitty, Sammie Jo. She always enjoyed time with her friends, especially with a good margarita or daiquiri in hand. Even though she is no longer by our side, she will forever be in our hearts. A private celebration of her life will be held at a later date. Arrangements in care of Beecher & Bennett Funeral Home, Hamden, C. Donations in Phyllis's name may be made to Hope Animal Rescues, P.O. Box 397, Godfrey, IL 62035, or to Five A's Humane Society, 4530 N. Alby St. Godfrey, IL 62035. To see her obituary online, or to share a memory with her family, please visit: www.beecherandbennett.com.